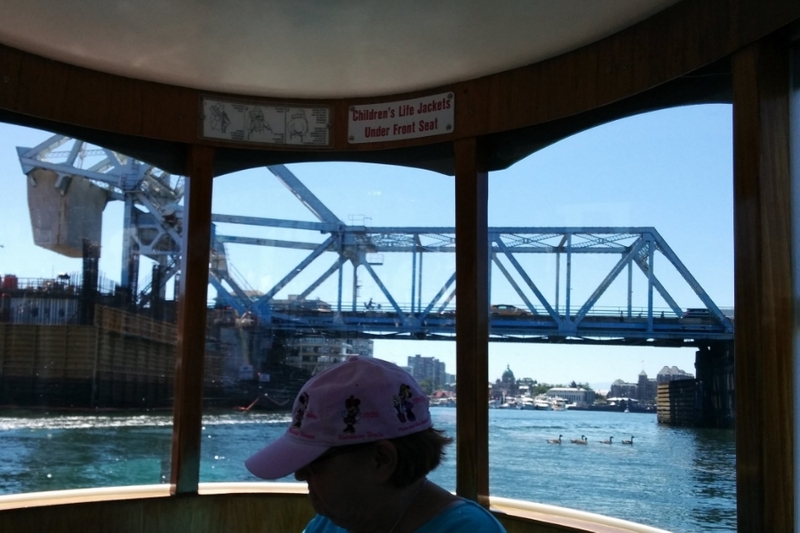 The Johnson Street Bridge is a bascule bridge that spans the harbour of Victoria. The bascule spans were designed by the Strauss Bascule Company Limited and were fabricated in Ontario. The bridge was completed in January 1924 at a cost of C$918,000. The bridge originally had street car rails running down the centre of the road span, but they were never used and were removed a few years later. The original wood deck was replaced by a steel grid in 1966 and the steel structure was repainted in 1979 as part of an extensive renovation. Sadly the bridge's life is coming to an end with a new modern replacement under construction at the time of writing this. No firm date has been given for completion though. Panoramic view Johnson Street by the bridge.